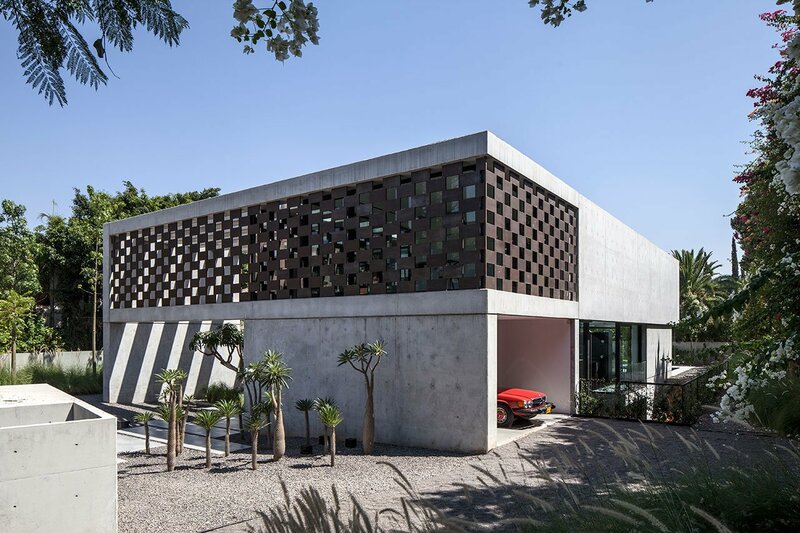 Designed by the Tel Aviv-based architectural studio Pitsou Kedem between 2010 and 2014, Corten House is a contemporary residence located in Savion, an exclusive residential area in Israel’s capital. 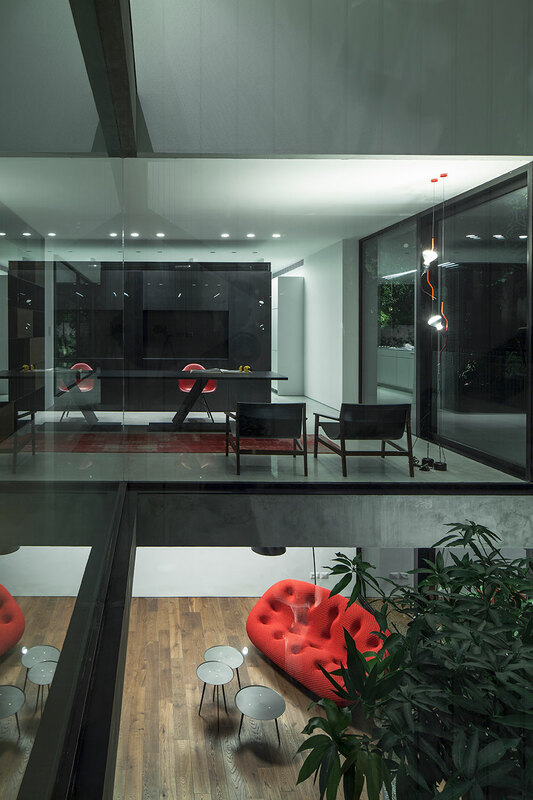 Sitting on a plot of 1,000 square meters, the 580-square-meter residence comprises multiple layers and areas: the structure unfolds around a double-height courtyard in a sequence of rooms that proceed from communal to private. 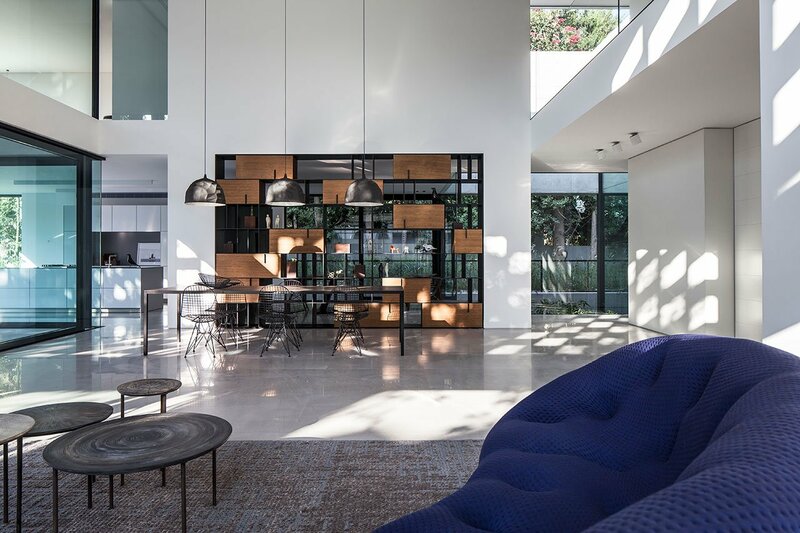 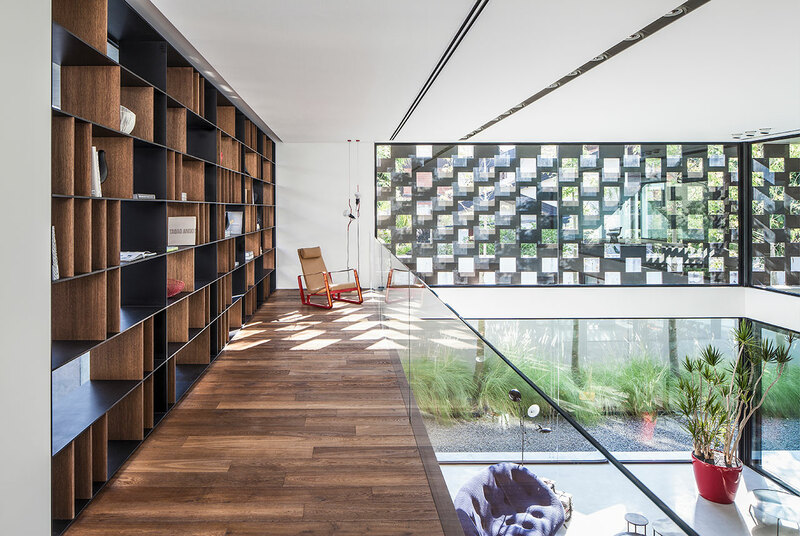 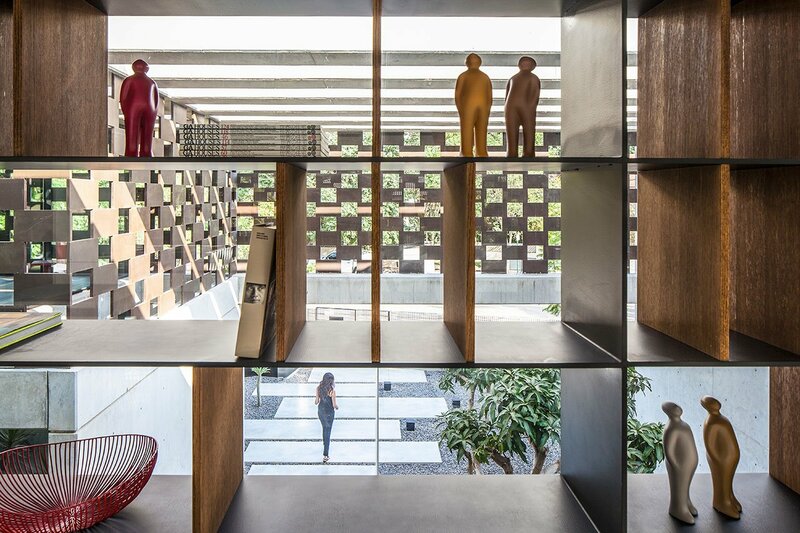 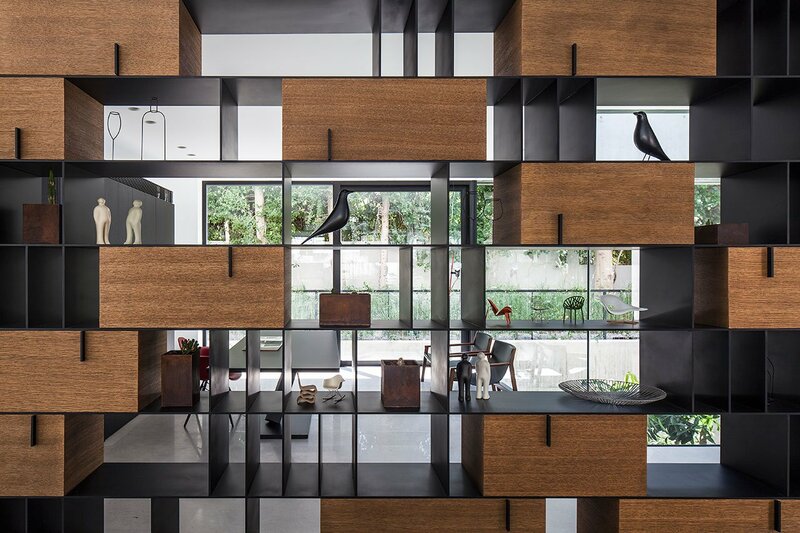 Pitsou Kedem Architects designed three key spaces —the central area, the communal area and the external area— which visually intertwine through glass walls and shelving systems. 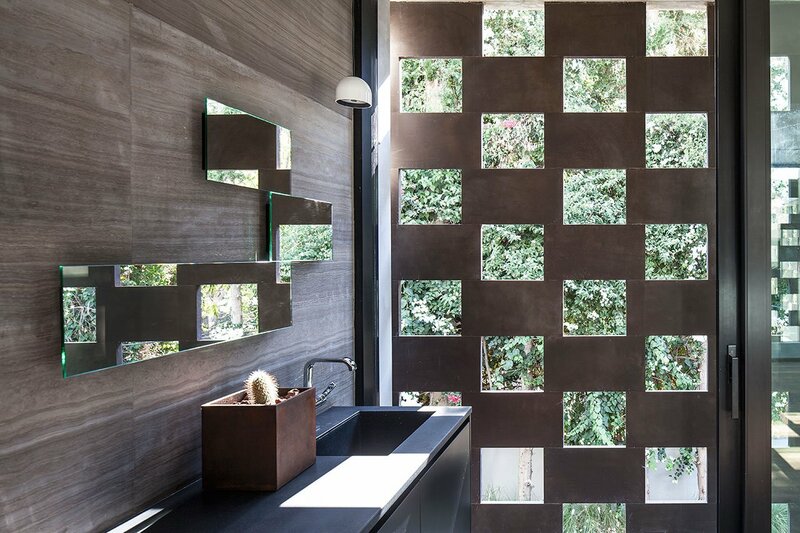 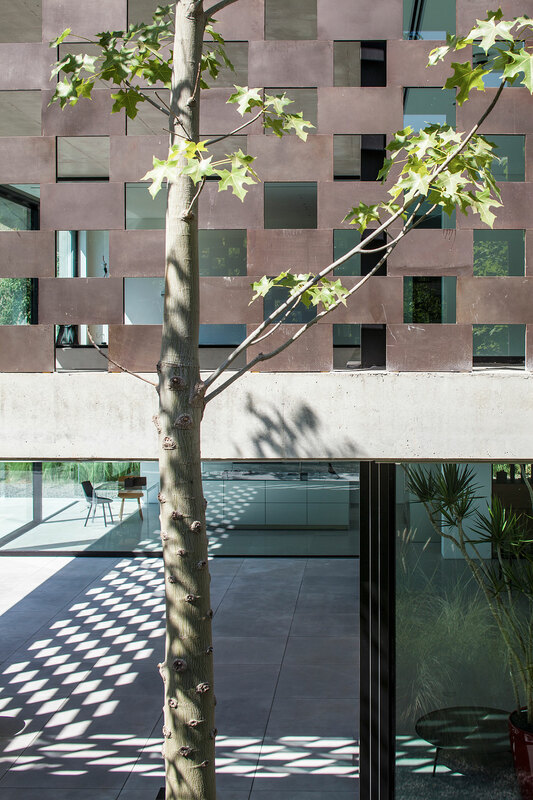 What the Corten House stands out for however, is its external, weathered-steel structure that envelops the house’s perimeter, casting shadows in a chequer board pattern across its internal surfaces. 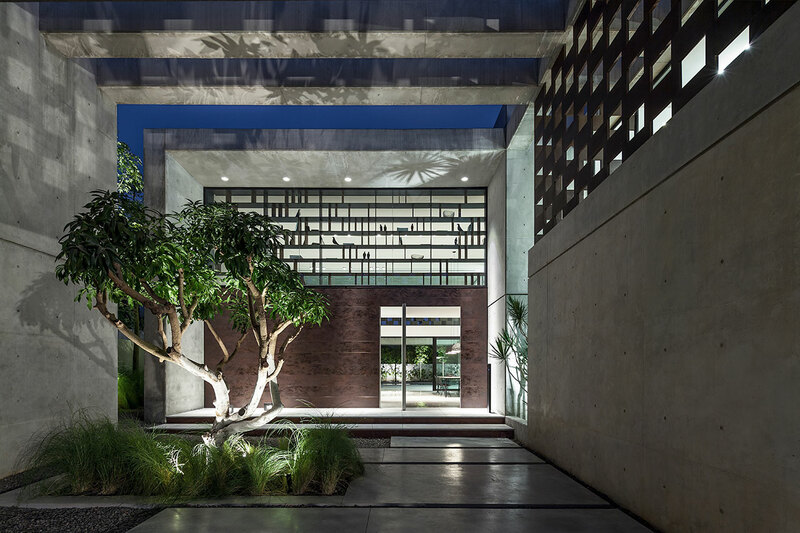 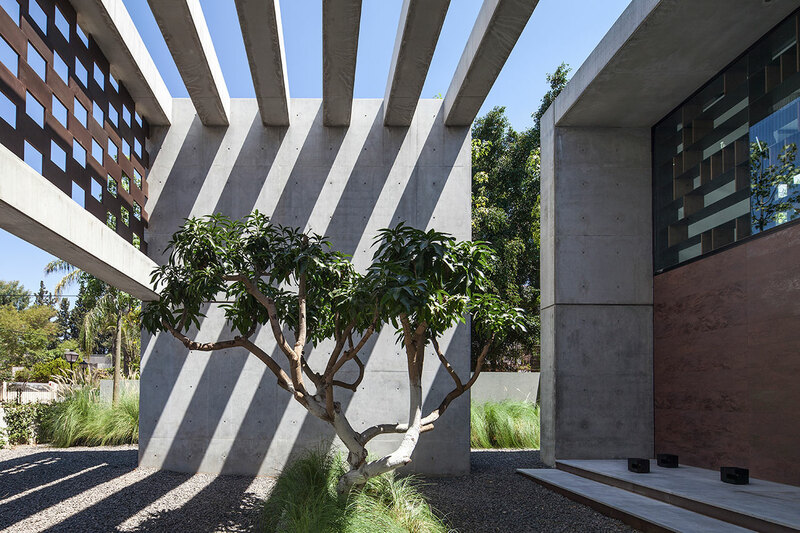 The residence’s design celebrates the resource that is found in such abundance in the region: sunlight. 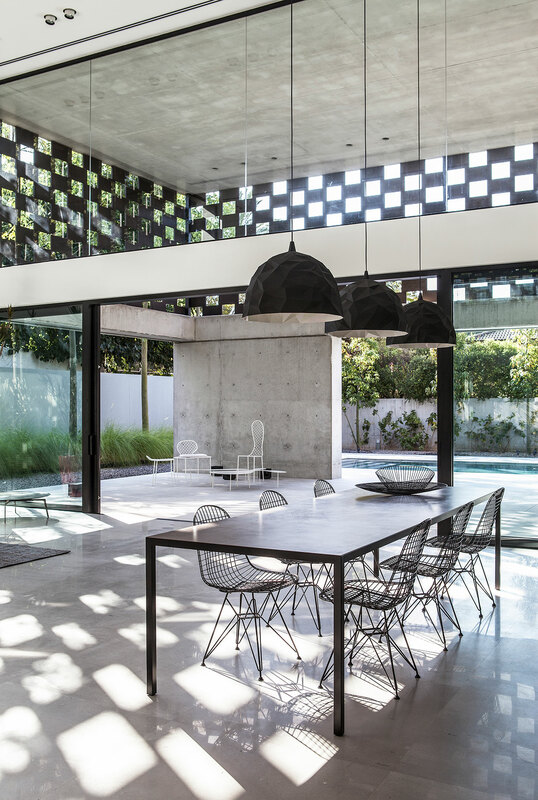 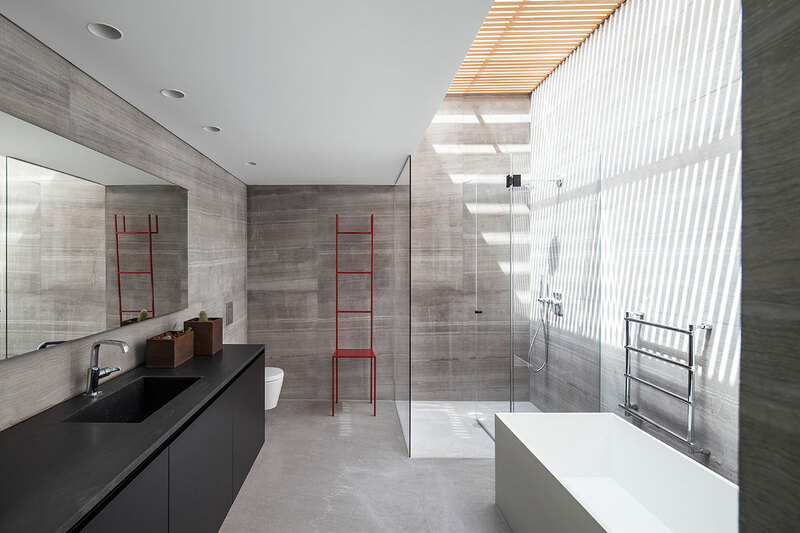 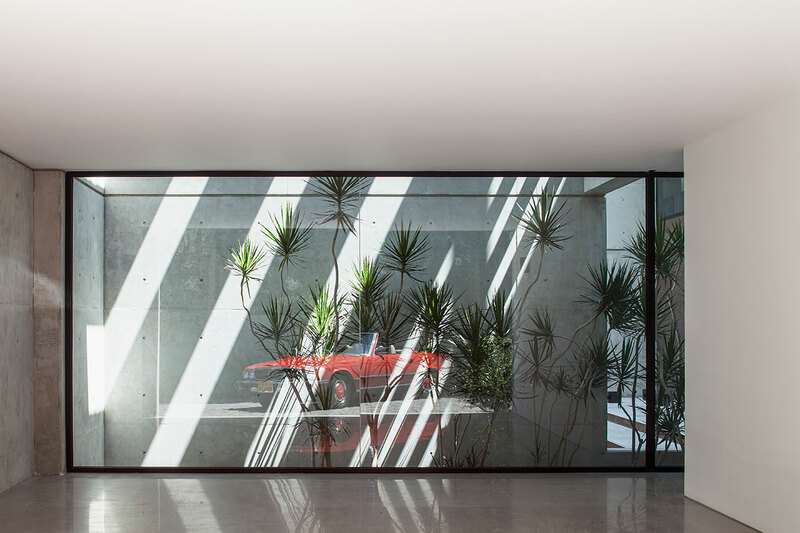 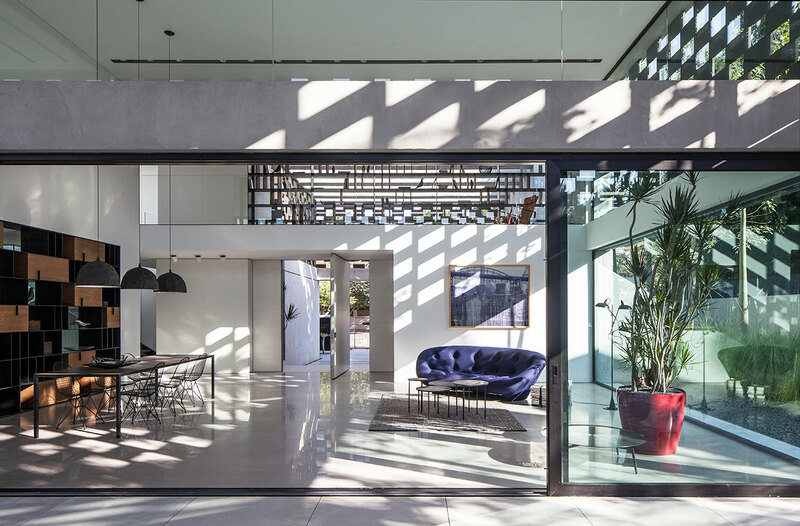 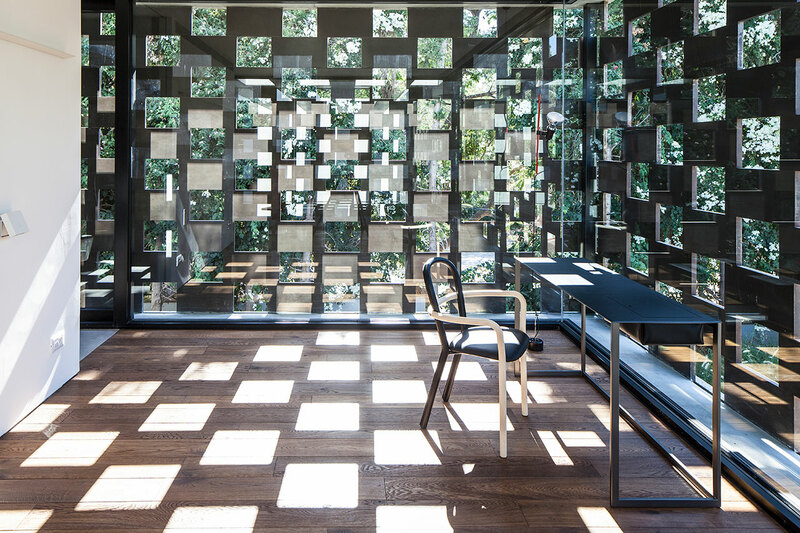 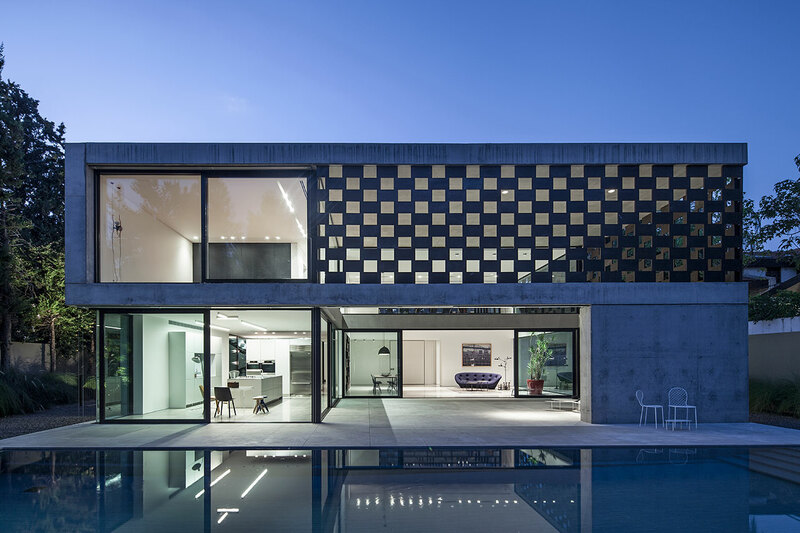 The positioning of walls and the layout of internal spaces was determined by the relationship between the house and the sun, whilst the use of framed geometrical patterns on the façades ensnares the sunlight creating a dynamic game of shades and shadows that brings the entire concrete mass to life. 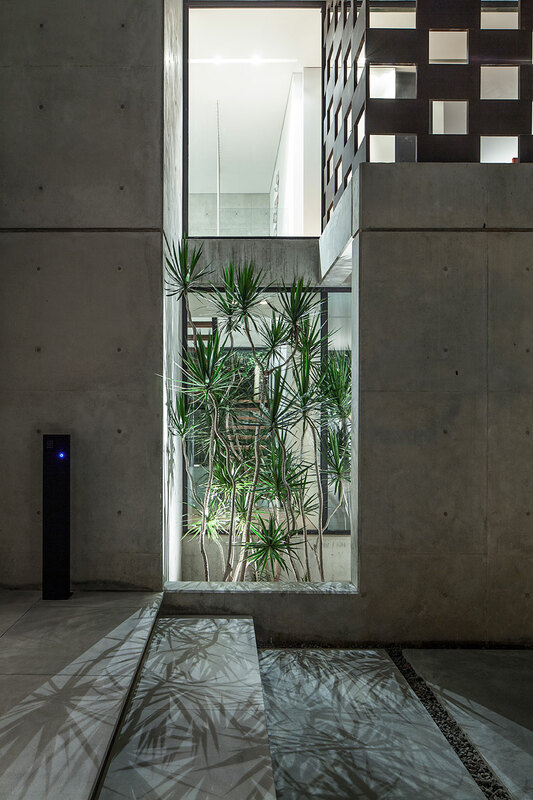 Through the deceptively simple weathered-steel structure, the architects managed to create a “filtering” layer that controls the angle of sight both into and from the house; it also re-interprets the concept of shadow not as the opposite of light, but as a delicate, sensuous product deriving from the manipulation of light. 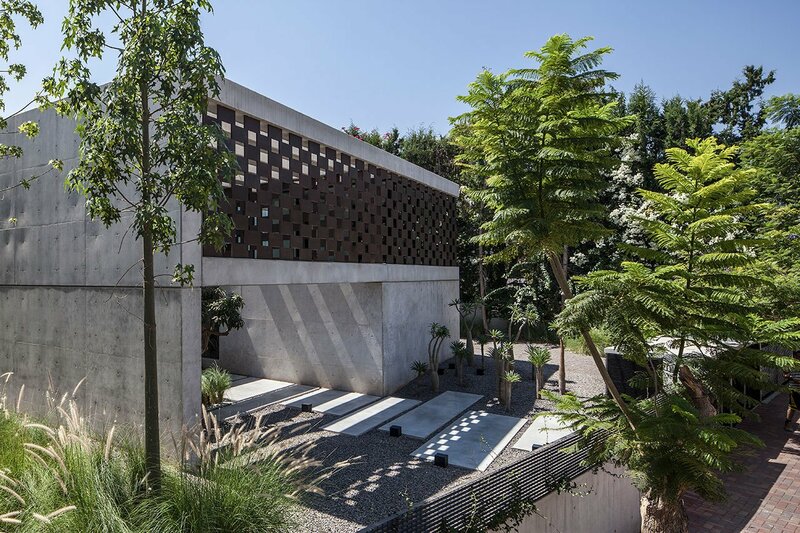 It must be no coincidence that the project shares the same title with the well-known 1933 essay “In Praise of Shadows” by Japanese novelist Junichiro Tanizaki; it would seem that Pitsou Kedem used the Corten House as an exercise in Tanizaki’s aesthetic and poetic definitions of shadows. 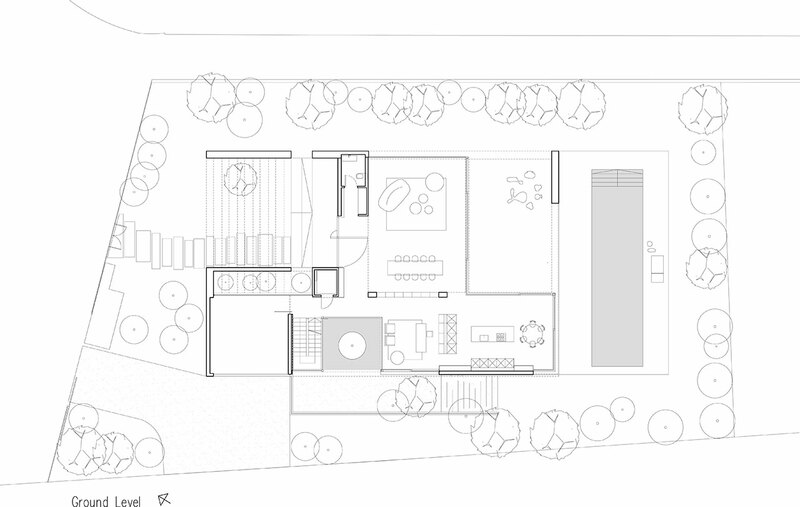 Ground Level Plan © Pitsou Kedem Architects.